Traditionally, marketing and sales professionals tend to have a rocky relationship, especially if you work in a company structured by silos. But, as online and offline communications merge, it is vital to smash those silos and work together to establish a cohesive and consistent strategy when passing on leads from marketing to sales. Marketing plays a much larger role today because of the digital transformation currently taking place. 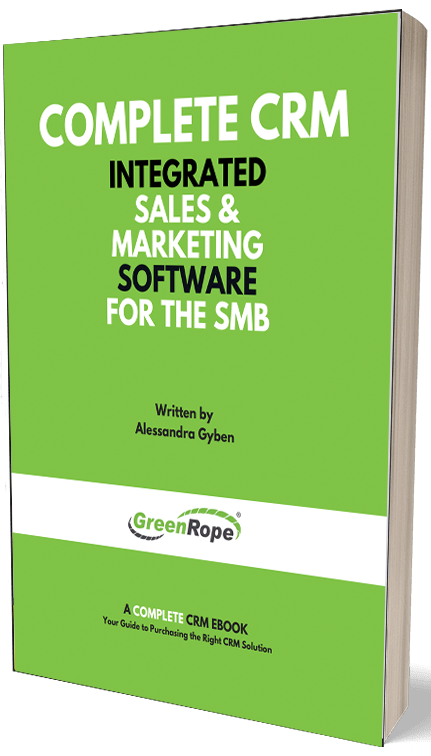 A synergy must exist between both sales and marketing to ensure that all leads are properly qualified and passed onto sales once an intent to purchase is established. When the two are disconnected, leads are more likely to fall through the cracks. But, when the two work together, beautiful things can happen. Like what, you ask? How about increased sales and a more consistent customer experience. Marketing creates all the content (blog, ebook, webinars, drip campaigns) that takes leads down the sales funnel until they have the intent to buy. Therefore, marketing efforts feed directly into the sales pitch. Let’s look at the traditional marketing-sales relationship and how it no longer functions effectively for gaining new clients. The buying process used to be very one-sided. And, by that I mean, very sales oriented. Marketing used to focus on attracting leads while sales professionals used to be mostly, if not completely responsible for closing those accounts. But, with so many prospective clients spending most of their buying process online, businesses must put forth more into their marketing efforts. Marketing has increasingly become more important for attracting leads and staying with them as they travel through the sales funnel, so, to reiterate: It’s vital for sales and marketing to work in sync. Now, here are some tips for getting your teams together. The best way for sales and marketing professionals to produce consistent results is for them to have weekly meetings to go over marketing and sales goals and efforts. This is a good time for marketers to fill their sales counterparts in on what type of content is resonating on the website, blog, and social networks. Similarly, the sales team can fill the marketers in on what leads and current customers are asking about, and hoping for in the future. A weekly meeting will allow both teams to ensure that the messaging marketers publish and push out is consistent with the conversations sales people have with their leads. Save time inputting customer data—you can easily track your CRM and customer behaviors in one place. Don’t miss any valuable information about your customer. When you are using two different platforms, it is easy to lose data between the two. Integrating the two will ensure that no customer data is lost or forgotten. Better measure of ROI. Sales and marketers have a complete view of all customer behaviors and interactions, which means sales people can use that data to push a lead through the sales funnel, faster and more efficiently. Essentially, you are able to see which marketing efforts are most attractive and effective, so marketers can put more time into those. This way, sales gains a better understanding of the messaging their leads and prospects are responding to and engaging with. We just published a post last week explaining why consumer insights are so important. Consumer insights allow marketers to understand the emotions and motivations of their target consumers. Sales plays a critical role in establishing those insights because it is through their conversations with leads that concerns, motivations, and emotions are brought to the table. I touched upon this in the previous points because they are all connected. However, I want to emphasize how important this point is for digital marketing. It is crucial to create content your customers want to read, right? Right. Sales and marketing departments must collaborate to establish trends in the type of questions, comments, and content leads and customers are looking for. This will not only benefit marketers but also sales people because better, more targeted content attracts better leads, which means more opportunity for sales to convert. If your marketing and sales strategies are not currently aligned and integrated, then try one or all of these to increase that alignment. Evaluate your marketing and sales efforts. What is working? Where can you improve? Please share your thoughts and suggestions for marketing and sales integration. After all, the more ideas, the better!